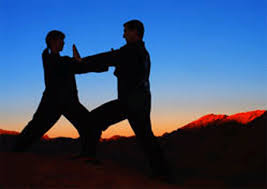 Easy to follow lessons and exercises will enable you to learn traditional long Wu Style Tai Chi form and postures with clear, step-by-step instructions. This particular Tai Chi form was created by Grand Master Wu Chien-ch’uan and in the recent developed and widely promoted by Grand Master Ma Yeah-liang (Shanghai). 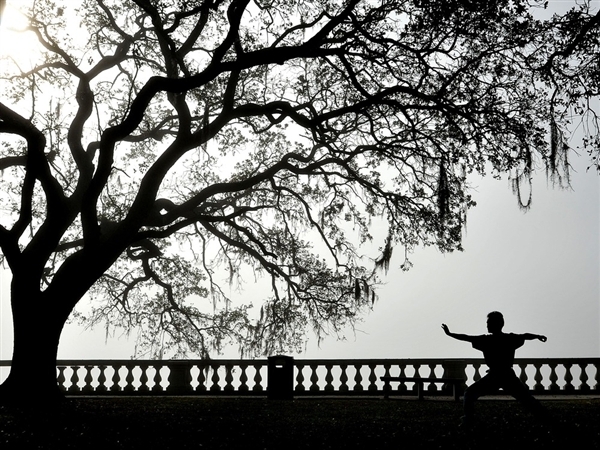 This form is complex and yet very rich in the benefits of Tai Chi, with low-impact routines that can be modified for people who are not as flexible. This safe and effective program is suitable for everyone who can move and wants to learn Tai Chi. I had the opportunity to join Emil last month for a very insightful push hands class. Emil is the real deal! He knows Chi and more importantly, knows how to teach others this very subtle yet powerful aspect of traditional Tai Chi Chuan push hands. Emil is a very gifted Teacher and it feels great to be able to practice under these beautiful trees on top of a hill 🙂 Truly a wonderful experience! Hey Emil! I really appreciate your classes. It is a challenge, yet you make it easy and enjoyable to learn. It’s a sweet oasis of Heaven away from the wild world. I always leave super energized and I feel I’m progressing well. I appreciate being with the other smiling faces in the group, as well. Thanks so much! Thank you Emil! This was a wonderful experience. For a beginner like me I was afraid not to be able to follow, but it was not bad at all! The warm-up helped a lot to get some understanding of the movement. The park is wonderful with plenty of parking.